So, June 29th is my sister's birthday. Her favorite color has always been purple. I love the new purples Stampin' Up! has in their new color refresh. 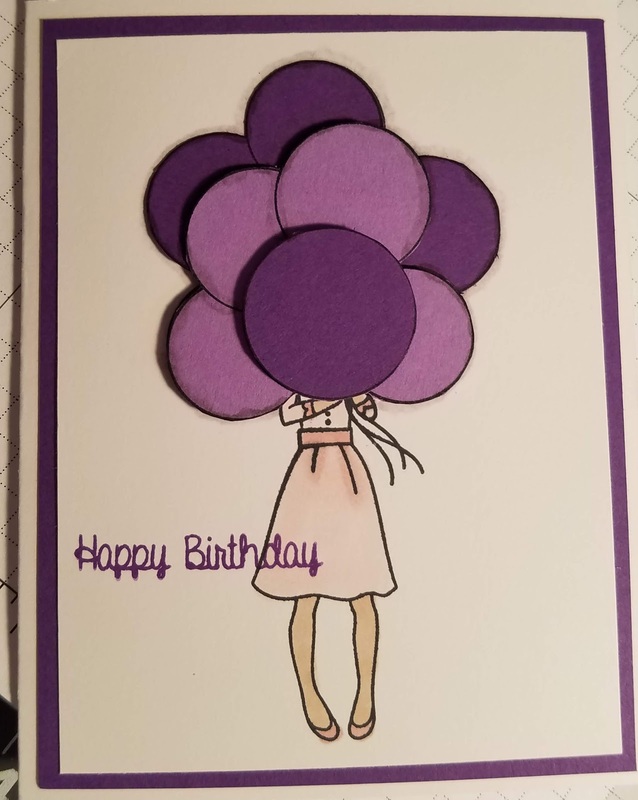 The Gorgeous Grape and Highland Heather are perfect for this card. 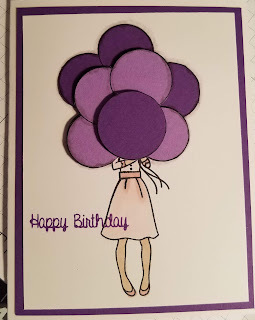 I stamped and cut out the balloons since I don't have the new colors in any of the markers. I love the way I was able to pop up the different layers in the balloons. This hostess set was perfect for her card this year.